Here is a first for the team here at Blue Chip Auto Glass. 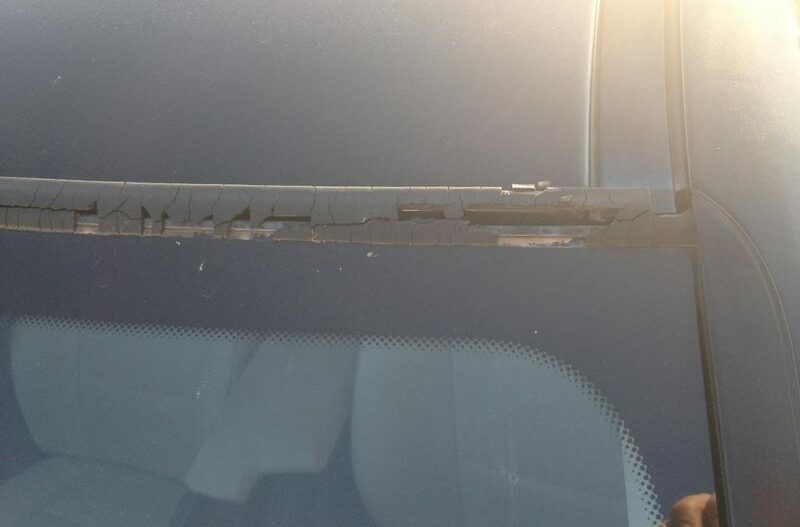 One of our customers had their windshield replaced with us on June 14th, 2010. We replaced the 2011 BMW 328 windshield with an original BMW windshield and reveal moulding. We used Sika Urethane and Primer on the job. The attached pictures are what the moulding looks like 26 months later after leaving the car in uncovered parking every day at work! Tomorrow we will attempt to replace the old moulding with a new one ahead of the clients’ lease return. We are bringing out a new BMW windshield in case we have to do a complete reinstall. BMW was kind enough to sell us the parts at cost since we were 2 months outside their 2 year warranty promise. This is another great example of the Blue Chip Auto Glass warranty. After more than 2 years of baking in the sun, wePhoenix Auto Glass Replacement and Repair will honor our full lifetime warranty even if BMW’s warranty is only two years. The insurance company laughed when we asked if they wanted to help with the cost of the wear and tear. If you need windshield repair or replacement in Phoenix Arizona call 602-885-5330 anytime.